Time is not just the calculation of transitory phases in years, but also the assessment of ACTIONS-the effort we make in life’s works; FEELINGS-our state of emotional being and ACHIEVEMENTS-our realisations in life, of life, about life. Time is not just the calculation of transitory phases in years, but also the assessment of actions, feelings and achievements. 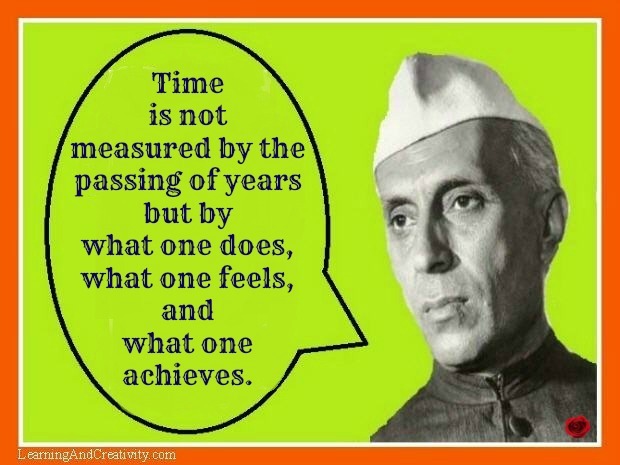 Truly quoted that “Time” is not measured by the passing of years. It is the outcome of our efforts invested during the phase…..!!! Greatly concluded that It is actually what one does, what one feels and what one achieves……….!!! To value “Time” we must respect “it” and we should continuously analyzing our time & efforts/ actions spent for the future betterment. As time spent on any act is actually is our major investment of life and analysis would guide us where we went wrong and so as we can correct the same. Time is the major factor in everyone’s life and we must understand the value of time.